Almost every Electronic circuits and devices are requires low DC voltages between 3.3V to 12V some times not greater than 30V others are few. In order to produce low DC Voltage from AC mains we use step-down Transformer and Rectifier, Regulator circuits, depends on the step-down transformer specifications cost of AC – DC circuit get varies. If we design circuit that is not requires pure DC but requires only DC means, we can use the transformer-less power supply made with x-rated capacitor. It is capable of providing almost pure DC supply from AC mains. This Transformer-less power supply designed to produce 6V DC output supply, this circuit takes AC input between 200 – 300V, X-Rated capacitor C1 (474k/400V) is connected serially with AC mains phase line through fuse and R2 Resistor connected parallel to the C1 capacitor to discharge the energy when there is no AC supply, between fuse and C1 capacitor MOV (metal oxide varistor) connected to protect the circuit from power surge and voltage spike. Bridge Rectifier constructed using four 1N4007 diodes and output of Rectifier connected with filter capacitor C2 then the DC voltage regulated by using Zener diode (6.2V / 1watt) the Red LED connected across output DC line indicates the presence of DC supply. 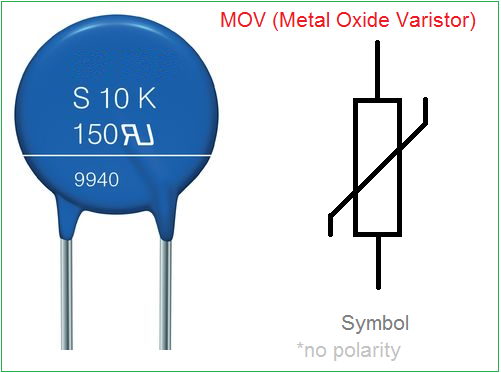 We can get different level of DC voltage by replacing different rated Zener diodes. 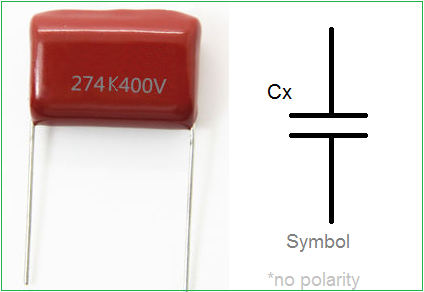 When applying AC mains supply to this circuit x-rated capacitor reduce the AC supply into low voltage AC by capacitive reactance property, low voltage AC supply Rectified and converted into DC supply by Bridge Rectifier elements, then DC output is filtered and regulated by capacitor and zener diode then at the end we get 6.2V DC output. This element is a voltage dependent device and designed to protect electronic circuit components from unwanted power surges produced by various factors. 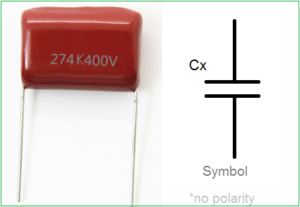 This varistor protects high voltage changes and gives barrier to the sudden changes in voltage. X-Rated capacitor is also known as voltage dropping capacitor and Power line filter capacitor, mostly used to reduce the AC supply through capacitive reactance property. This element has no polarity and hence we can connect it in any direction. 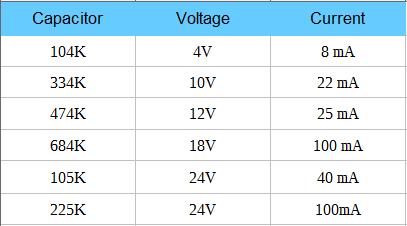 X-Rated Capacitor Output voltage and Current when connected to the AC mains without load. Why to use a fuse of 5Amps? power supply is capable of delivering just a few miliamps… using 5A fuse is of no protection, right? what is the Amperage of this power supply ?